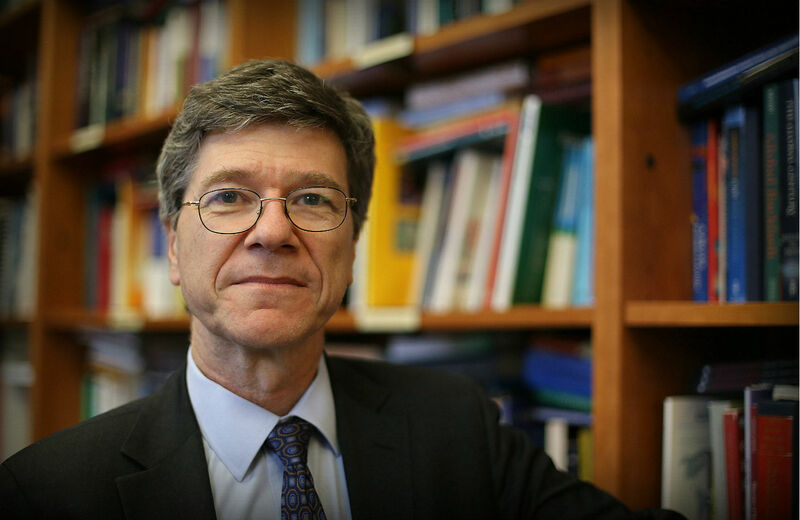 An interview with Jeffrey Sachs on the 2015 Paris negotiations, sustainable development and the profound threat facing our planet. In December 2015, world leaders will gather in Paris to negotiate a binding agreement to reduce global carbon emissions. It will be the twenty-first major UN climate summit since 1992. Two decades of conferences have coincided with mounting emissions and rising temperatures. Indeed, the World Meteorological Organization has pronounced 2014 as the warmest year on record for the planet. And the latest Intergovernmental Panel on Climate Change report warns that—short of a “substantial and sustained” reduction in greenhouse gas emissions—we will experience more frequent heat waves, droughts, storm surges, shocks to the world food supply and other extreme weather-related events. For all this bad news, there has been a discernibly welcome shift in the zeitgeist. The impact of climate change has been felt the world over, and by now even much of the political right accepts the scientific consensus that human activity is playing a role. This past September saw the largest climate march in history; more than 400,000 people turned out in New York City alone. For these reasons and others, 2015 presents us with a historic opportunity to make the shift from a fossil fuel–based global economy to one based on low-carbon energy. Climate scientists say the window of opportunity for strong action on climate is rapidly closing, but that we can yet stabilize global atmospheric temperatures and put the world on a path to sustainable development. As the global climate negotiations proceed, Jeffrey Sachs, an economist and the world’s most high-profile proponent of sustainable development, is playing a key role. He currently heads Columbia University’s Earth Institute and the UN Sustainable Development Solutions Network, a global collaboration that brings together the top minds in a wide range of disciplines to work out how we can make the shift to a low-carbon world. When the UN General Assembly adopts the Sustainable Development Goals this September, he will serve as chief adviser on the goals to Secretary General Ban Ki-Moon. His new book, The Age of Sustainable Development, will be published by Columbia University Press in March. The Nation recently spoke with Sachs in his office at Columbia University about the significance of the Paris talks and about some of the technical and political challenges that must be addressed to ensure success. The interview has been edited for length and clarity. David Kortava: That we need to stabilize greenhouse gas concentrations has been reiterated at every UN climate conference since 1992. Is there reason to believe that Paris 2015 is going to be different? Jeffrey Sachs: First, Paris is the last chance to stay below 2 degrees Celsius beyond the pre-industrial temperature. This is the upper limit of safety that was agreed to in Copenhagen in 2009 and confirmed in Cancún in 2010, so the stakes could not be higher. There’s no guarantee of success, but because of two huge realities we have a better chance now than before. One is that we’re in the midst of climate change. Rather than it being a theory about the future, it’s reality about the present. This has really changed the sense of how key actors—whether it’s companies or governments or international agencies or NGOs or all of us in our daily lives—talk about this issue. The second huge change has to do with China. Between 1992 and today, China has had incredible economic growth powered by coal. It became the world’s largest emitting country of greenhouse gases, and CO2 in particular, by a large margin—twice the level of emissions of the United States. For a long time, China said we’re not acting until the US leads. Now, China is saying we’re part of the solution. There’s still a lot of negotiation and diplomacy about who’s responsible for what, but the reality is that China’s going to have to act, because it’s the world’s biggest emitter. All eyes are on China, even more so than on the United States. And China is very vulnerable to these changes itself. It’s seen a lot of drought, a lot of crisis in Northern China, and the air pollution is massive. It’s taking years of life expectancy away. For all these reasons, I expect to see China become much more active on the solution side, and that I believe is going to provoke the US to do more as well. But I have to say, no one knows how far this is going to get in Paris. There’s a lot of uncertainty about the quality of the agreement. There’s a high chance that there’s going to be an agreement, but a lower chance that it’ll be a true 2 degree C agreement, which would imply a worldwide recognition of the drama of decarbonizing the world’s energy system within the course of two generations, which is an incredibly difficult, yet feasible and necessary objective. Whether the world signs up to it or not depends on the negotiations between now and Paris 2015. The recent US-China agreement has been criticized for not going far enough and for not having much teeth in it. Do you see this as a superficial gesture or a real watershed moment? It’s a real watershed in that the two big emitting countries said we’re going to sign an agreement next year in Paris. That’s very important. The substance of it is mixed. China, for example, said it will peak by 2030. It didn’t say peak at what level, and 2030 is, after all, sixteen years from now. That offer can and should be improved considerably. The US said that it will reduce emissions by around a quarter by 2025, also not a breakthrough. And the administration said that’s what can be done using EPA regulations, rather than trying to get something through this obstructionist Senate. But there are some really powerful parts of the announcement also that didn’t get enough attention. One is that the US reiterated the commitment to 80 percent reduction by 2050. Of course, that’s easier said than done. They can’t pass anything through the Senate right now. Still, to even mention that shows a kind of political determination in the face of really the worst Senate imaginable from this point of view. And the second important thing is the announcement of collaboration on R&D for low-carbon technologies. So is this sufficient? No. Is it an opening gambit? I hope so. If it’s the final story before Paris, it’s not good enough. But I don’t think it will be the final story. According to the Intergovernmental Panel on Climate Change, if we are to stay within the 2 degree warming limit, we can “safely” spend just under 500 billion tons of carbon. What would be a fair way to divvy up this carbon budget? The key point is that to reach safety on the planet all countries are going to have to decarbonize their energy systems. This isn’t the case where if the developed countries did it, that would be enough. Not even close. Everybody has to decarbonize. That’s the arithmetic at this point. Essentially, we should be on a path to deep decarbonization across the board, with the exception of the poorest countries, who are going to take more time, but they’re going to come to the same place as well. Everyone is going to rely more or less on the same technologies, with the only differences being what kind of physical geography places have to tap wind or solar or geothermal or other kinds of low-carbon energy. So what can make this fair if everybody has to point in the same direction? What can make it fair is how we finance the transition. What we need to differentiate is not who does what so much—because everybody needs to decarbonize—but who pays what. Poor countries need the incremental help to develop in a clean, green and resilient way. Those who can and should pay—because they’re so rich or because they’re emitting a lot of pollutants— should put up some of the resources that are absolutely vital for poor countries. Poor countries need to be able to manage both the ongoing changes of climate and to enable the mobilization of large-scale renewable energy. Climate finance, and the broader issue of development finance, is going to be on the table in Addis Ababa in July, and there are no shared concepts yet on this. It’s one of the most difficult and still unformed parts of the whole agenda. We know we need to tax carbon emitters. We also know we need to leave a lot of resources unexploited in the ground. Right now neither idea is taken very seriously in the United States. If a binding agreement is reached in Paris in December, what happens to fossil fuel companies? Lord Browne, who was the CEO of BP, said recently that his industry doesn’t understand the existential challenge that the industry faces. And that was quite a strong statement. Of course, he’s no longer CEO, so he can say things that he probably wouldn’t have said as CEO. But he drew a lot of attention inside the industry by this statement. There is a fundamental balance sheet. There’s a carbon budget that is consistent with at least moderate safety for the world. That’s the 2 degree C upper limit, and it says very overwhelmingly: stop developing new fossil fuels in the Arctic, in the deep seabed, in the unconventional fields like Canada, where the Keystone pipeline would take these resources. And if you’re going to develop any of them, you better prove that carbon capture and sequestration is accompanying every barrel you remove, because that’s the only way this could make sense. And the truth is, it probably doesn’t make sense economically. If we have the proper control regime, the economics of a lot of these projects goes away. And we’re seeing a lot of them close right now, because the cyclical decline of oil prices is down to about $65 per barrel as we speak. And that’s stopping a lot of projects that were underway. If we had a proper climate control regime, that’s the signal that the oil companies would have been getting anyway. That’s the key message. That’s why the divestment campaign makes sense, for example, because this is a lousy investment in a 2 degree C world. Unless companies are a lot smarter in what they’re doing, unless they quit the old habit of exploring new deep-sea fields, pre-salt fields, Arctic fields and so forth, why would you invest in such a company? Well, these companies say—like Exxon Mobile has said, like Shell said—to the CarbonTracker recently: we don’t believe in the 2 degree C. I find that an absolutely unacceptable statement, from two points of view. One is that since they’re such political lobbies, that’s a kind of a moral hazard statement. That’s not just a belief, that’s what they’re working towards and they have to stop working towards breaching that limit. But second, I think they’re wrong. I think at the end of the day, the world is going to want to save itself. And this kind of traditional behavior, which after all has been the way the oil industry has worked for the hundred forty years or so of the sector, has to change. And it will change, but how fast? Tobacco use is coming down, but so gradually that there’s huge loss of life and suffering that continues decades after the dangers were discovered. With fossil fuels, it is so slow it’s threatening the planet in fundamental ways, and the whole point is we’ve got to dramatically speed up. Let’s talk about some of the technology that may be required to de-carbonize our energy systems. There’s little controversy about solar, wind, hydropower. What’s your take on nuclear? First, let me say there’s controversy about every kind of energy source. If you want to build wind turbines off of Nantucket, good luck. Suddenly the world’s top most visible environmentalists started protesting against zero-carbon energy: not in our backyard, not in our lake, not on our oceanfront. If you want to tap hydropower, you face the anti-dam lobby. And if you want to tap wind power in the North Sea in Germany, you face huge protests of the German states that lie in between the North Sea and Southern Germany who don’t want power lines going over their heads. Every single project is controversial right now. And it’s absolutely easy for somebody to say: I only want this one and this one. And what happens? Well, Germany has said we don’t want nuclear, which is zero-carbon, and we don’t want carbon capture and sequestration. So Germany’s burning US coal right now, and that’s the irony. Germany has stranded wind power in the North Sea, because they can’t get approvals of the states to allow the power lines to bring it to where the energy is needed in Southern Germany. And there was a very large zero-carbon hydropower project in Southern Chile, very remote. The amount of displacement would not have been zero but it would have been very small. US environmentalists came in and effectively led the blocking of that project. It became hugely controversial, and so Chile uses fossil fuels until now. And then when you want solar in the desert, well, there are lizards, there are other parts of the desert ecosystems that are at stake. Most of these advocates actually still want electricity. They still want to turn on their computers, get on planes, drive their cars. And they oppose everything. Or if they don’t oppose everything, they choose particular things that are on the agenda right now. In New York State, there was a proposal to test carbon capture and sequestration. Well, there was an uproar—not in our backyard. People don’t seem to understand that if you block hydro, if you block solar, if you block wind, if you block nuclear, if you block carbon capture and sequestration, in the end it’s not that you’re going to block energy, which wouldn’t be a great idea anyway, it’s that you’re going to ensure a continuation of the status quo. My basic assertion is: do your arithmetic. You have to have some plan. You can’t just say no to everything. I know that nuclear is going to be part of the plan for a lot of countries. There’s no way that China is going to get out of this coal-based economy without a significant amount of base-load nuclear energy. Whether you like it or not, it’s the reality, and if you tell China don’t do nuclear, of if they decide to not do nuclear, you’re going to have a lot more CO2 emissions. Fossil fuel companies are investing in carbon capture and sequestration. Is there some promise in that? Well, fossil-fuel companies are not investing enough in it, actually. There’s one scaled project now of a full coal-burning, lignite-burning power plant in Saskatchewan called Boundary Dam. It’s been operating a month. I spoke to the chief engineer of that project a couple days ago. They’re very happy with it. It’s taking out roughly 90 percent of the CO2 emissions. It’s much cleaner. Even though it’s coal-based, it’s much cleaner than if they were using natural gas. They’re at something like 120 grams per kilowatt-hour, compared to coal, which would be 1100 grams per kilowatt-hour, and natural gas, which would be something like 550 grams per kilowatt hour. So they really cleaned up and the costs are much lower than they thought it would be. And they’ve got a lot of geologic storage capacity in Saskatchewan, so that they can fill this reservoir for decades. I said let’s get the scientists there to measure and monitor, make sure the CO2 is staying underground, make sure it’s not migrating in dangerous ways. We don’t want to believe you. We want to believe independent assessment and science on it. Could this be an answer? A part of one. I think it’s doubtful that we’re going to be storing 35 billion tons of carbon dioxide per year. It would be perhaps the world’s leading industry doing nothing but putting CO2 back underground. That doesn’t seem like our best option now that we can tap wind and solar and geothermal and others much better. But could it be a meaningful part of the answer in places like China that have massive amounts of coal and would like to be able to use that coal safely? It’s possible. So I’m recommending, and working with Secretary General Ban-Ki Moon and the French government as host of next year’s COP21, to try to create a large public-private partnership to test the proposition of carbon capture and sequestration over the next ten years. And I am calling on the major coal countries in particular and fossil-fuel countries more generally—the United States, Canada, Australia, European Union, China, the Gulf Cooperation Council, India—to join in a consortium to see if this is real, if it’s safe, if it could it be made economical, if the reservoirs exist to do this in a prudent way. We don’t know the answers to any of those questions right now. We do know that this is a feasible technology at small scale. In fact, it’s a commercial technology at small scale, because oil companies use CO2 for enhancing their oil recovery. And that means they’re already putting CO2 down underground and it stays down underground in old oil reserves. We know that all the pieces of carbon capture and sequestration can work, but there’s a big difference between doing this with some millions of tons of CO2 per year versus billions of tons of CO2 per year. One of the most controversial aspects of all this concerns financing. You’ve touched on this, but I’d like for you to elaborate. A recent UN report has it that adaptation to climate change could cost us up to $500 billion annually. Who should shoulder this burden? How is the money going to be galvanized? All estimates are very general and not yet specific enough to be useful for budgets. And all of these big numbers aggregate across so many different kinds of countries. Are you including the cost of New York improving flood control off the cost of New York City, for example? That’s quite different from climate resilience in Mali or Chad. So who has to pay, and pay for what, needs to be now made so much clearer. There is one specific commitment on the table right now, which is to reach $100 billion per year of funding for developing countries by 2020. At a minimum we need to do this, and it’s not hard to do that. Because we’re in a $90 trillion world economy, so a hundred billion is not tiny change, but it’s absolutely manageable. But even that 100 billion has not been sorted in any serious way, and it’s one of things I’m trying to help do in the next six months before we reach the Addis summit on financing. We need to say: here’s what the 100 billion is. Let’s agree on that. I think that that can be done. But like you suggested in that number, 100 billion is actually a small part of the total. Energy systems are expensive. We need energy. We need electricity for every sector of a modern economy. And it’s not surprising that there are big price tags. Most of that isn’t about aid, but a lot of it has to be in the sense that the poorest countries that are suffering big disruptions already have been promised, time and again, that they’re going to be helped to have sustainable energy systems. Sustainable energy for all, after all, is one of the hallmarks of the new Sustainable Development Goals. We better raise real money on the table. How to do that? Many ways, but one way is that countries should contribute funds to this global pool based on their greenhouse gas emissions. If the rich countries paid something on the order of $5 a ton of CO2, which is much less than the social cost, and put that money into a central kitty like the Green Climate Fund. If upper-middle income countries paid something like $2.50 per ton of emissions, again much less than the social cost, we’d reach $100 billion of cash per year. While we’re probably not going to end up exactly with that kind of formula, we need something that says we need new financing, it should be linked the polluter-pay principle, and it should be real bucks pooled into the Green Climate Fund. Some people see these big UN summits as top-down, technocratic, insulated from democratic pressures and often not very effective. Do you see such a movement emerging that can really exert influence on these summits and on environmental policy more generally? We need both the international legal framework, and we need the loud movement. It’s not an either-or. It’s a global movement to save ourselves, and we absolutely need both approaches. I think the fact that you could get roughly 2 million people out on the streets in major cities on September 20, 2014, was a big deal. When I marched in New York, I was really pleased and impressed that this was just across the society. I loved seeing our students there, but there were also trade unions marching, a lot of working-class people. This was not some narrow part of society. We need that. I believe that a large majority of Americans know the score right now. They know that we’re in danger. They know that we should move to renewables, but the Koch brothers have more power than all of them in the way that money moves our political system right now. So we have to open up the corruption of the politics. We have to talk about the corruption of the politics. We have to talk about the fact that people like Mitch McConnell and others are just on the take of whether it’s coal or oil, that they’re there representing narrow interests, not the American people. We have to get out there and raise voices about this. You’ve written that “if we fail in Paris, we will fail to stay below 2 degrees. Paris is the last chance.” What happens if a binding agreement isn’t reached in Paris? And what if, agreement or no agreement, we blow the 2 degree limit? Well, we’ll talk about after Paris after Paris, because not for one moment am I ready to concede that we won’t reach an agreement. What I can say is if we fail in general to keep below 2 degrees, there are two kinds of problems. One is that 2 degrees plus is huge disruption, period. Heat waves, droughts, floods, megastorms—and we’re not even halfway there. But more than that are the risks of so-called positive feedbacks, of tipping points, destabilization, release of methane and CO2 from the oceans and from the permafrost, albedo changes, meaning changes of the earth’s reflectance that greatly amplify the changes underway. We know in the past—this is the great scientific work of James Hansen—that when greenhouse gas concentrations have been at the level that they are at now, even below today’s level, sea levels have been meters higher than they are now. And what Professor Hansen concludes from that is that we’ve already set in motion what he calls slow feedbacks, meaning that there will be a breakup of ice sheets, a change of ocean and atmospheric dynamics and chemistry that, even if we simply stay at today’s concentrations, will mean warming and more than warming. The implications for sea-level rise and other disturbances are much greater than what we’ve seen for now. And what he says is we don’t know whether that’s on a decade scale, a century scale or possibly a millennium scale, but we have all the reason to worry. We’re recklessly gambling with many meters’ increase of sea level that could come from an “unexpected” breakup of the West Antarctic ice sheet, for example, or major loss of ice mass in Greenland. So that’s why we need to stay below the two degrees—because it’s bad enough, and because it could trigger dynamics that would be quite horrifying. David KortavaDavid Kortava is an activist and writer in Washington, DC. He has served in the United States Peace Corps (South Africa, 09-11) and holds a master’s degree from Columbia University’s School of International and Public Affairs.